It all started with a private lesson. “I need your help—my puppy won’t stop biting me,” said the voice on the other end of the line. We scheduled a training session for later that same week. And what an adventure Wee and I have had in our year together here in Colorado. I never would have believed it. Writing a book about unfolding 1,000 letters I bought at an estate sale in 1997 led to the joy of waking up every day to a black ball of fur demanding massages and kisses before he will get out his queen-sized bed. Guests sleep on the couch. Yes. Border collies are the smartest dogs on the planet. In the Fall of 2012, I was deep into research for my book, Running to Thousand Letters. 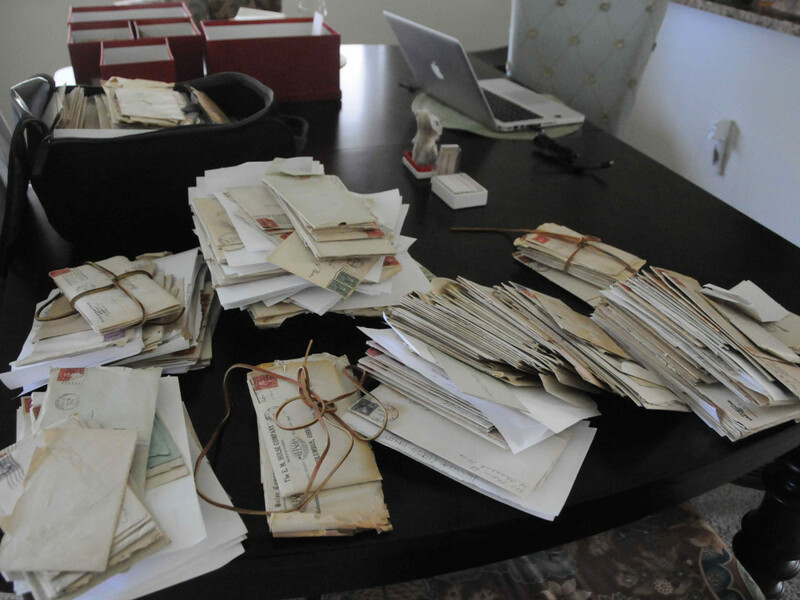 In 1997, on an impulse I’d bought 1,000 letters at Louise Palmer’s estate sale. Louise’s love of piano (it was her vocation) had triggered one of the many side-paths I indulged as I began unfolding these letters. The one I was following when I committed to adopt Wee was learning about my paternal Grandfather, Charles, a self-described amateur pianist who lived in Cooperstown, New York, less than a two-hour drive from Terri. Rocky Mountains here in Boulder, Colorado, my home. For me there is nothing more fulfilling than a day on the trails. 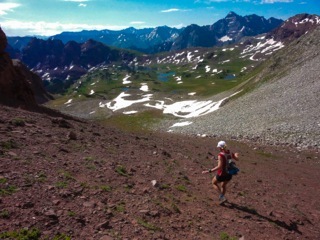 I didn’t start out being an endurance runner. I just wanted to be in the mountains, climbing to the top, looking off in the distance toward another end that is really just another beginning, and exploring new paths. Even the trails couldn’t fulfill me entirely though. Something was missing. 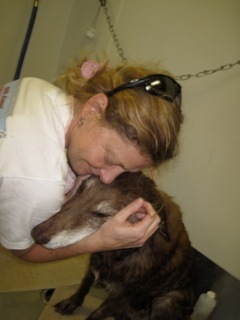 It had been almost two years since my seventeen-year-old fur-child, Sadie, died. She is a soul who will never leave me, the partner who lived longer than she should have, and one of a few beings who stops my heart because she left. I wondered if I could ever offer the love I had for her again. It had been seven years since Freeway died in 1995. Freeway had been a border collie, so I had a good idea of how much exercise and how many tennis balls his breed would require. Among the most intelligent dogs, border collies learn quickly and it’s important to constantly keep their minds busy with new games to avoid spontaneously exploding couches. I’d planned to adopt two thinking they could keep each other busy. Mostly though, I wanted dogs that would match my energy. They had to be able to run the thirty to forty miles a week on average (sometimes as many as fifty to sixty during peak weeks) I ran training for long distance endurance runs. They also had to have an “off” button and settle down when I sat down to write for four to six hours a day. I intended to adopt two- to three-year-old dogs and had seen what seemed like every single available border collie rescue in the prior six months. So had all my Facebook friends. One, Brenda, connected me to Terri in Pennsylvania. I wavered a bit about traveling to adopt a dog; there are plenty of high-energy dogs at home in Colorado. Freeway had been a rescue; Sadie a Humane Society girl. Occasionally the Humane Society advertised a border collie too, but in months of looking I hadn’t seen two in time to adopt them. “Would you be interested in my Wee pup?” Terri had asked. I did a double-take. What? A puppy? I was looking for grown dog, preferably two, who could run with me . . . now. I had organized marathon distance training into my weekends and had committed to my first 100k (sixty-two miles) in May 2013. A puppy couldn’t run long distance for about a year and this one, I learned, might have special needs. Had I remembered how time-consuming the first months of a puppy’s training can be, I would have declined. Sadie had arrived home about the same age as Wee, eleven weeks, in 1994. She ate several of my favorite shoes; not both shoes, just one of many pairs. She gnawed on baseboards whose repair was de-prioritized for years. Once, I’d left her in her crate while I was out because I’d read it was the right thing to do. Sadie would allegedly love it, and if I put something that smelled like me with her, her separation anxiety, which was intense, would be abated. Sadie hated the crate. I picked an object that had eight hours a day of my smell to leave with her: my favorite feather pillow. Her crate was super-sized anticipating her growth into the seventy-five pounds she became. The feather pillow fit perfectly in the floor space. When I left, Sadie was curled up on it. When I returned home all I could see was her snout poking through the wire door, feathers billowing out like a wild ticker tape parade in my dining room. She never went in the crate again. 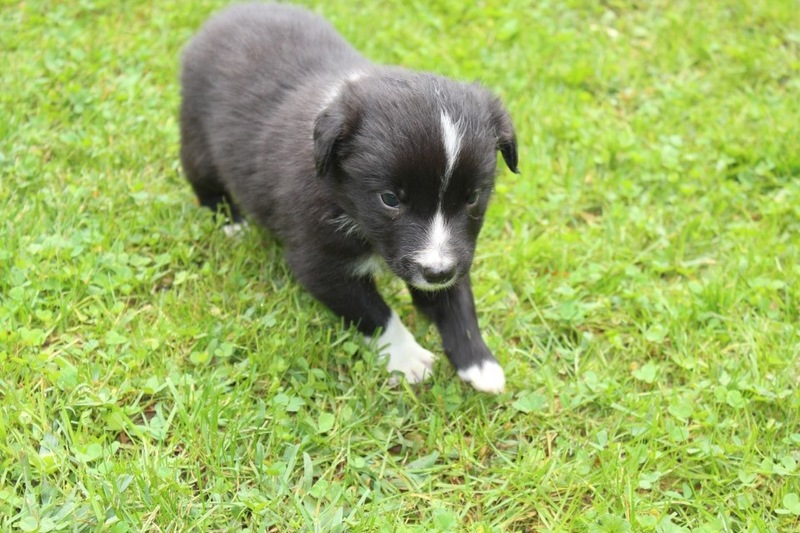 When I saw Wee’s pictures, none of Sadie’s puppy years upstaged his adorableness. He captured my heart, and I fell in love, my one and only online crush. If I hadn’t pulled up a Google map of Terri’s location, I doubt I would have committed to her offer. When I realized she was within a two-hour drive of Cooperstown, New York, and other unlikely connections to the my research triggered from the letters fell into place, it seemed destiny that I would adopt him. 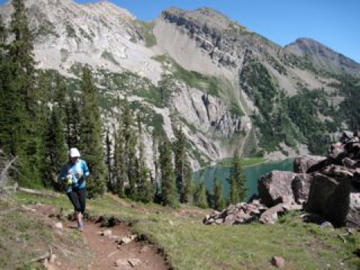 Terri and agreed I’d pick the Wee pup up during the first week of November just after my first long race since my injuries – the Moab Trail Marathon in Utah. I had a few weeks to puppy-proof the house. Friends let me borrow crates for the car, bedroom, and my home office. I unboxed dog bowls, food containers, and dog gates. I bought puppy supplies for the inevitable accidents. I downloaded the latest puppy books and worried about not having time to read them cover to cover reminding myself how to be an awesome dog mom again with all the current methods ready to go. By November seventh, two days after finishing the marathon, I continued along the path of distraction trusting my intuition but having no idea what connection existed between Cooperstown, Wee and the letters . . . Originally from southern Ohio’s Appalachian foothills and now based in Boulder, Colorado, Drake holds an undergraduate degree in economics with honors in the liberal arts and an MBA from The Ohio State University. 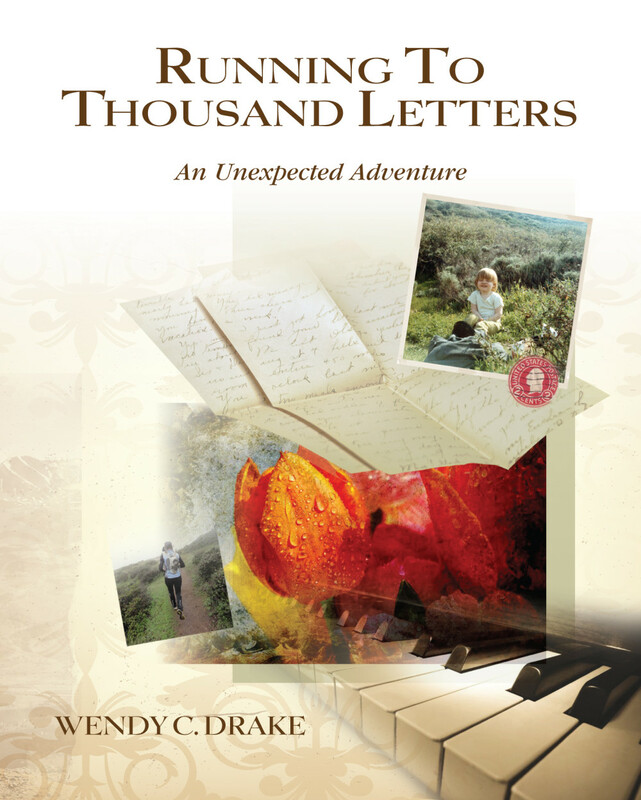 Running to Thousand Letters is the first in a series about what happens when she opens 1,000 letters bought at an estate sale in 1997.